This is a home based, family run, high tech operation. 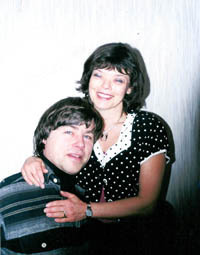 We are David And Leslie Haynes. We are both Artists as well as Laser Cutters. Leslie co-authored "Projection Stencilling" Published by Hartley and Marks; it's into its second printing. I teach Woodworking part time and run our Shop part time. We live on Vancouver Island, BC, Canada in the beautiful countryside. Herzlich willkommen auf unserer gobc.ca website. Wir beide sind Artists und wuerden uns freuen, Ihnen weitere Informationen ueber unsere zahlreichen Projekte uebersenden zu koennen. Unsere Projekte sind sehr unterschiedlich. Wir arbeiten mit Spezialisten und Fachkraeften deutscher Abstammung zusammen und koennen muehelos alle benoetigten Informationen in deutscher Sprache liefern. All our products are ready to paint and assemble. 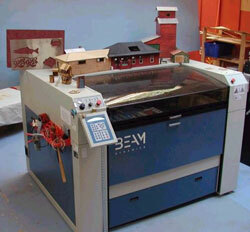 Here is our Laser machine. It's unique to Canada. It was made by Beam Dynamics, in San Carlos Ca. It is a 150 watt laser with a 120x 120 cm. (48" x48") cutting bed. Maximum speed is 1500 cm (600 inches) / minute. It's fast! We can cut wood, metal, and plastic on our machine. A drawing renderered of a house from 1880. 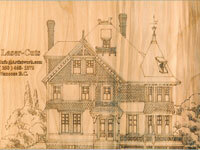 Just imagine your house or picture in quarter sawn cedar. As we are both artists, and technicians, we have no qualms about taking on prototyping, small or large jobs; art or technical & mechanical work. 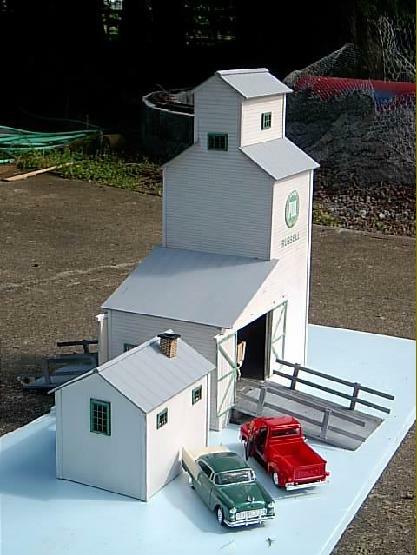 The Qualicum Beach Train station is one of our "G" (Garden train) scale masterpieces. 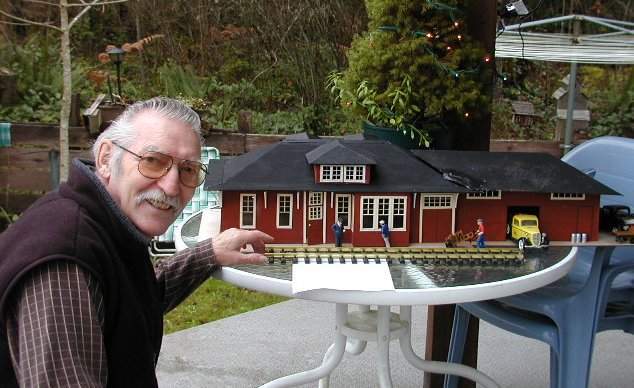 It is one of the rare E&N train stations which are rarely seen outside of Vancouver Island, not to mention Canada. All parts are pre-cut from aircraft plywood and are ready to paint and assemble.